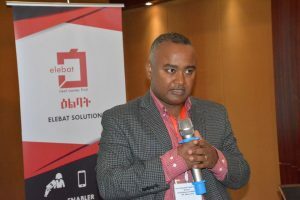 As part of Elebat’s initiative towards bringing a disruptive change in the digital finance sector it has launched a program called ‘Seed Youth’ of Digital Finance focusing on the young generation under which 3,500 (in eight months) young degree graduate year and Masters students (60% female) regular students from all government universities and selected private colleges will be trained on the concept and fundamentals of DFS highly tailored to Ethiopian context. 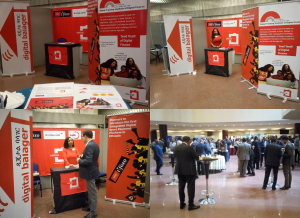 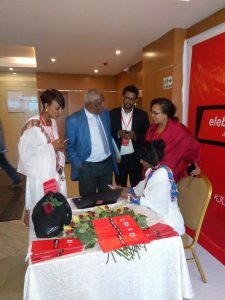 First of its kind training prepared to equip ‘the chosen generation to drive Ethiopia to digitization’ with contextualized knowledge. 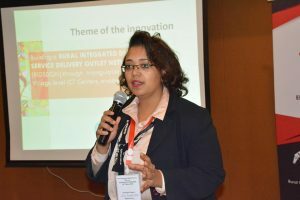 Digital transformation is no longer an option it is an imperative! 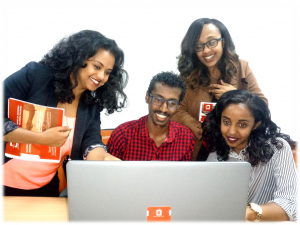 Our goal is creating youth that see the future with the right skill . 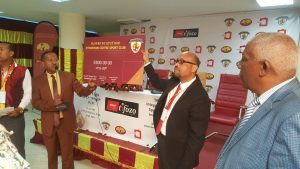 Tifozo! 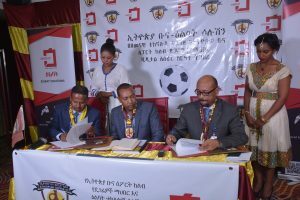 was inaugurated on 30 August 2018 at Intercontinental hotel in the presence of five sport club fans and representatives, President of Ethiopian Sports Federation and other honorable guests. 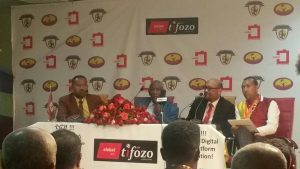 Tifozo is a technology that allows digital fans registration, digital membership fee collection, digital Sport Jersey and other merchandise sales and distribution. 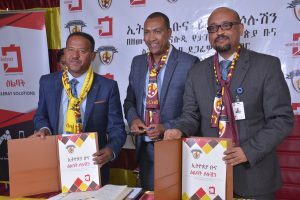 An integrated digital sport platform that will further enhance the Ethiopian Coffee Sport Club and Ethiopian Coffee Sport Club Fans Association’s efforts towards the club’s excellence. 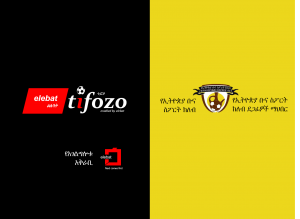 Elebat is happy to announce the launch of ‘Tifozo’ the first Integrated Digital Sport Platform in Ethiopia. 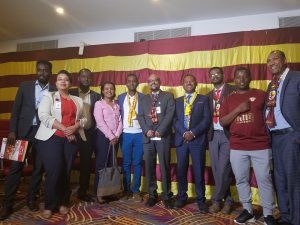 Tifozo is being launched for the first time with Ethiopia Coffee Sport Club and Ethiopia Coffee Sport Club fans Association. 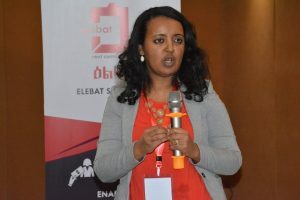 The main purpose of this press release, is to announce that the Ethiopian Coffee FootBall Club Fans Association(the first legally recognized association which currently has over 17,000 registered and millions of additional unregistered fans) and Elebat Solutions (a Technology led solutions provider that mainly works in Digital Financial Service, Telecom Services and Rural Integrated Digital Service Delivery Outlet Network development& Management) have mutually agreed to work together and implement a digital members registration, members contribution collection, digital stadium ticketing through thousands of existing Elebat service outlets and upcoming service points to be established all over the country along with digital distribution & sales of sport merchandises (e-commerce) and related Value Added Services (VAS), marketing & branding as well as income generating activities,in order, to support the Ethiopian Coffee FootBall Club Fans Association’s multi-level effort towards growing & developing its fan base as well as club prominence both locally and internationally. 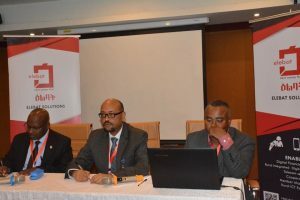 As per the agreement readiness activities that are already started will be completed and a pilot will be launched in three months’ time at selected cities i.e. 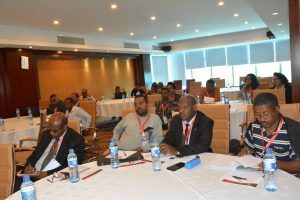 Addis Ababa, Hawassa, DireDawa, Mekele including middle eastern countries. 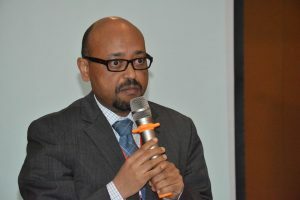 In the next financial year its operation will scale up to reaching all parts of the country and other parts of the world where there are fan base including USA, Europe and Middle East respectively.